July 20, 2018 at 9:52am featuring David R. Cook Jr.
Three executives of Eastern Oregon Telecom (EOT) announced in May they have purchased the internet and phone provider from its parent company Umatilla Electric Cooperative. 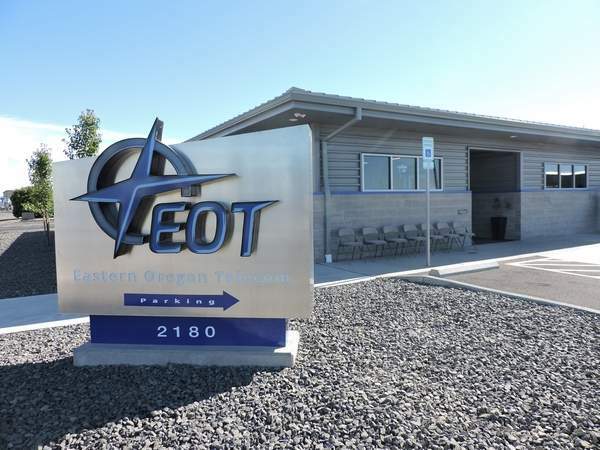 EOT General Manager and CEO Joe Franell, CFO Paul Keeler and COO Richard Holbo, doing business as Columbia Basin Development Group, will share equal ownership of the company. Franell said the group had discussed the sale with EOT for about four years but declined to comment on the financial details of the transaction. While EOT will be initially owned by its senior executives, the intention is to offer all employees a stake in the business. The form of employee ownership has yet to be determined but as a first step, EOT employees will be involved in strategic planning for the next year and beyond. Franell stated that the goal with taking over ownership of the company was to serve other areas not currently in the UEC footprint. Created on August 18, 1999, EOT was initially owned by UEC, Douglas Electric Cooperative, four telephone cooperatives and a telecommunications consulting firm. Additional telephone company owners were added in 2001. Frustrated that the incumbent telephone companies weren’t bringing in enhanced telecommunications services beyond dial-up internet, UEC led the partnership in the creation of a new telephone company. By the summer of 2003, in addition to telephone services, EOT began offering high-speed internet. The company now offers internet speeds of 100 megabits and greater to homes in Umatilla, Irrigon, Boardman, parts of Hermiston and north Umatilla County, and gigabit fiber (1,000 megabits) to businesses in those markets. It offers IT support to businesses and telecommunications construction services as well.